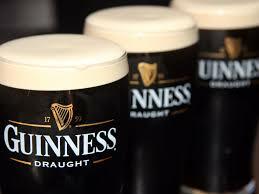 Demands are growing for a ban on the consumption of alcohol in houses of the Oireachtas. This follows apparent moves by the Minister for Transport Shane Peter Nathaniel Ross to introduce measures aimed at disqualifying motorists found to be even slightly over the current 50 milligrammes drink driving limit. 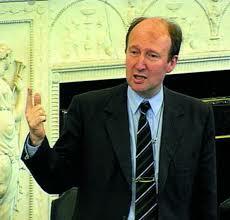 Minister for Transport Shane Peter Nathaniel Ross. The Minister’s proposal is viewed in quarters as a war on rural Ireland where in many places there is no public transport. It is also argued that Ross as Transport Minister has shown no inclination to improve the situation, yet is seemingly proposing to drive off the road relatively minor wrongdoers relying on a car as their only means of getting to work or to socialise. A rural-based resident who contacted Sligo News File spoke of what he said was the “exploding anger” over the minister’s announcement. He said people are “getting up in arms” because they consider that consumption of marginally more than a pint of beer does not leave the driver impaired or unfit to drive carefully. “There is also evidence that so low is the present legal level even small amounts of medication can push a driver over the limit. “Ross, in the comfortable environment of the Dail, dictating that even first time offenders should be disqualified doesn’t have to bother himself about what being put off the road could mean for some rural drivers. Think of those with a family and mortgage-reliant on a job. Without a car, how are they going to get to work, how are they going to look after the family and the overheads, things the likes of Ross doesn’t have to think of about his bulging salary and bum in a car to take him a few miles from the Dail to his home. Rural dwellers don’t have that kind of luxury, but they pay for his luxury as taxpayers. The bars in Leinster House raked in nearly €300,000 in 2016. Just under €7,000 was spent in the bars during the day and night of the abortion debate in July 2013. Attacking what he branded the “luxurious environment” of TDs and Senators, he said it was objectionable and immoral that alcohol should be readily accessible to them while they are conducting the business of the Oireachtas. “The bars should be permanently shut down; it’s just not acceptable that those we elected to manage the country should be able to drink while supposedly acting as legislators. They are there to work. You also need a clear and sober system to do the job properly. Bars and bottles of wine in the lavish restaurants should be prohibited. Of course, there is no suggestion all legislators are into alcohol, but obviously, many are. Otherwise, there would be no need for either wine or bars. How can you think straight if you’re excessively under the influence of alcohol when considering legislative material affecting the people or voting on it. Concluding, he said that, “unless the Dail and Seanad are bent on completely destroying what is left of life in rural areas, the present plans for disqualification based on a minor breach of the drink laws or first offence should be abandoned. “It is not, of course, being asserted that drinking to excess and driving is right or ought to be tolerated. But if this is to be a needed measure, TDs must first lobby and procure a proper bus service to take rural people to work and enable them to have a social life, the same as those living in Dublin and other cities and towns. Criminalising rural dwellers when they are stripped of nearly every form of public transport and harassing and prosecuting them because they are otherwise forced to use a car is outrageous. 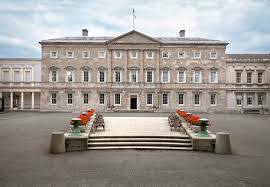 Leinster House with its bars and restaurants.